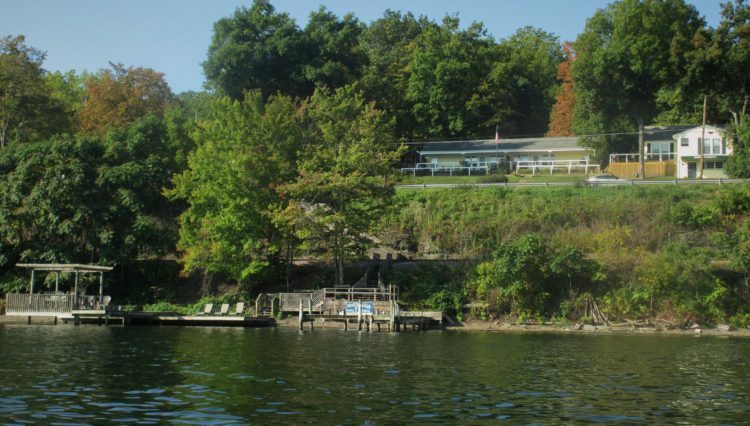 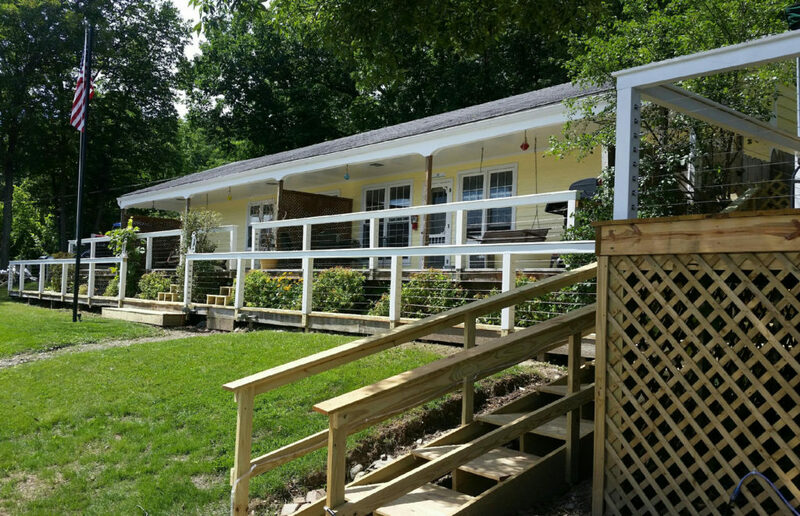 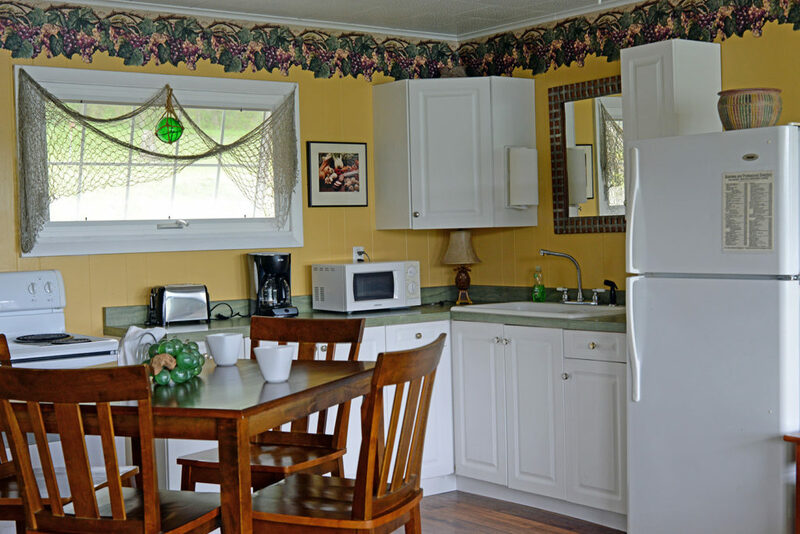 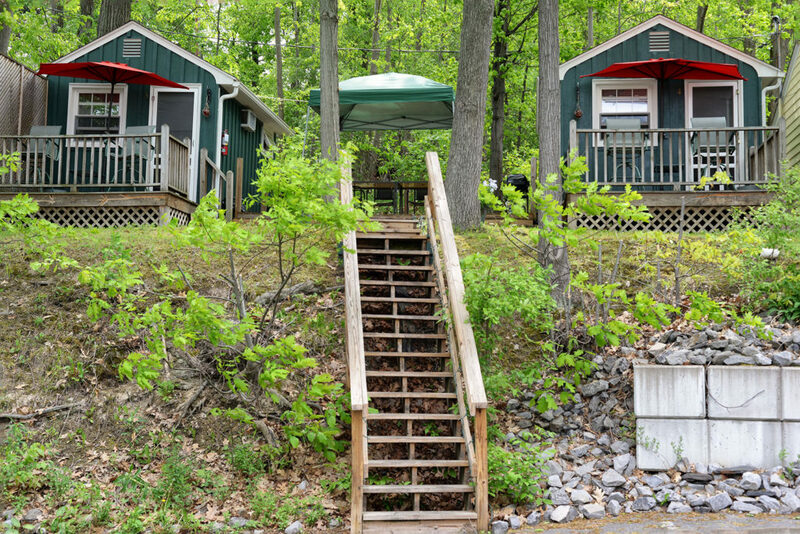 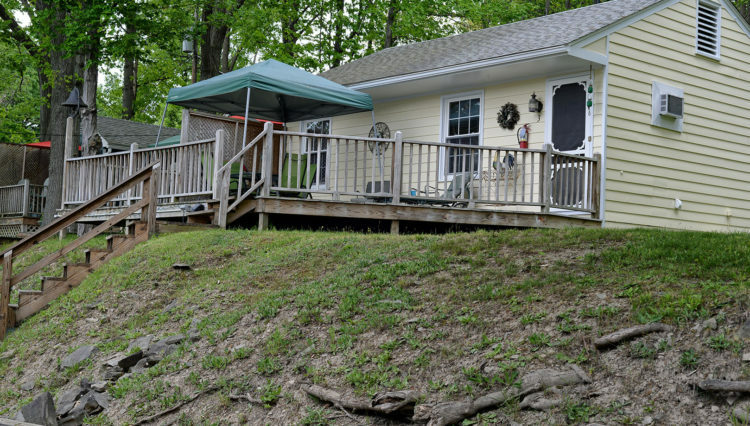 We are a six unit lakeside lodging featuring a three bedroom, one and a half bath house, two 2 bedroom cottages, a one bedroom cottage, and 2 smaller bungalows. 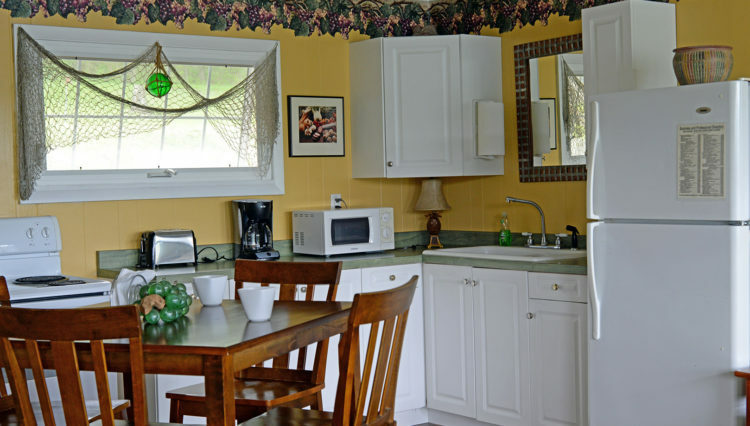 The cottages and house feature full living rooms and fully equipped kitchens. 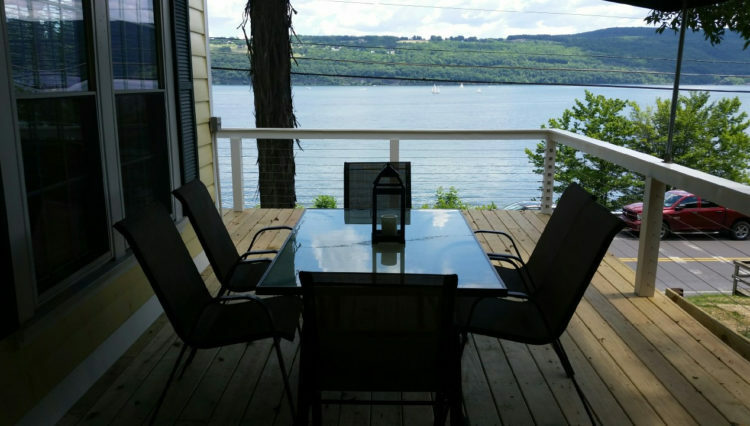 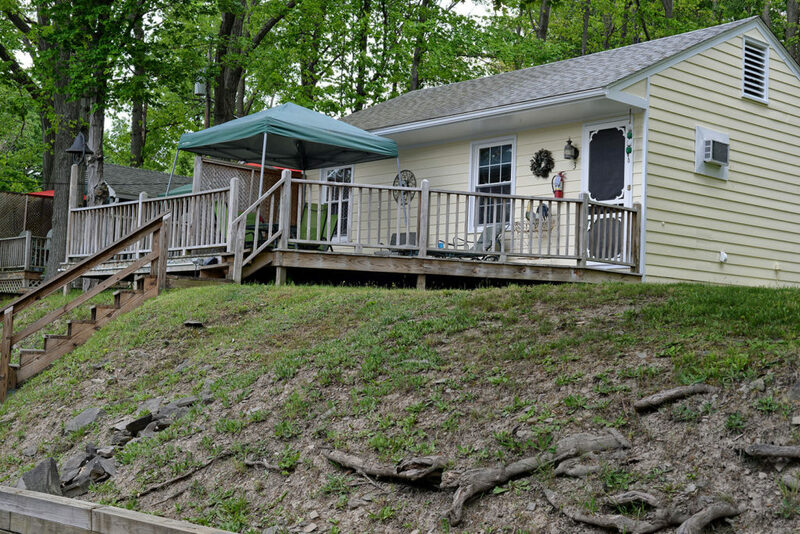 Each unit has a private bathroom and a deck with a view of the lake and its own gas grill. 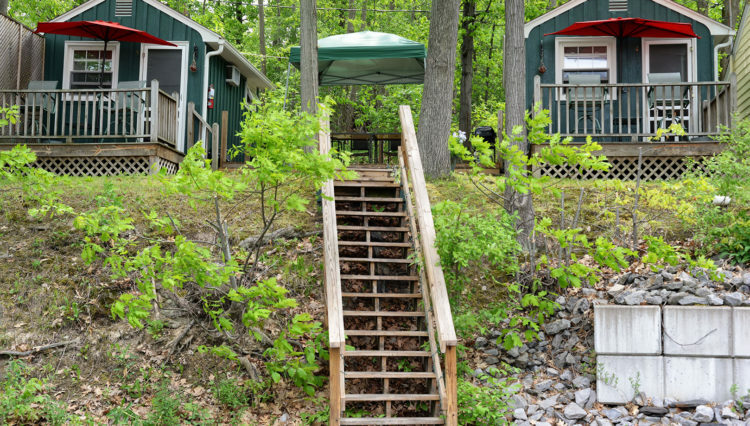 All units have access to our 200 feet of lake frontage featuring large docks with lounge chairs and tables. 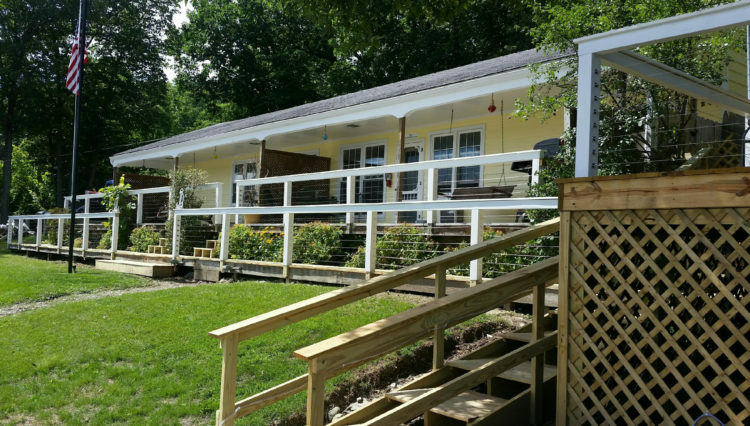 We are located less than a half mile from downtown.